The streaming industry has unfortunately become a deeply competitive marketplace, but luckily one company is going above and beyond to help its artists. Other music services should definitely take note, because Spotify has kicked Billy Joel off of its platform to finally give him the motivation he needs to start his own streaming service. Wow, big ups to Spotify. Now THIS is how you foster talent! 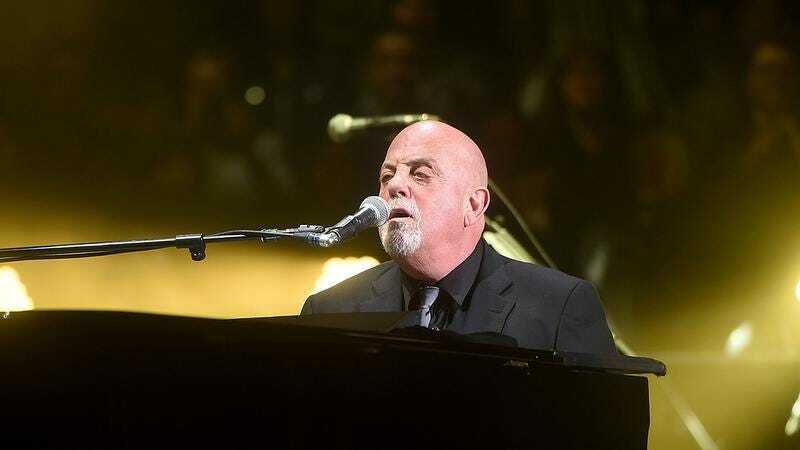 After years of carrying all of Billy Joel’s greatest hits, Spotify has decided to part ways with the prolific singer-songwriter in hopes that it’ll be the kick he needs to finally step up and start his own platform. According to Spotify, removing Joel from its library was very painful, but it was the only way the company saw the “Piano Man” being motivated enough to live up to his full potential and start a music service by himself. Whoa. Whether Billy Joel likes it or not, he’s getting some seriously tough love from Spotify. In the long run, though, the CEO emphasized that they have the 23-time Grammy winner’s best interests in mind, even if that means one day Spotify is overtaken by a rival streaming service named BillyBop or Joelify. Well, it sure seems like Spotify is being hard on Billy Joel, but ultimately, removing all his music might be just what he needs to finally spread his wings. Here’s hoping that Billy Joel can stand up in the face of adversity, start his own streaming service, and over time, maybe even appreciate what an incredible thing Spotify did for him!